This January we are excited to partner with Soles4Souls again! 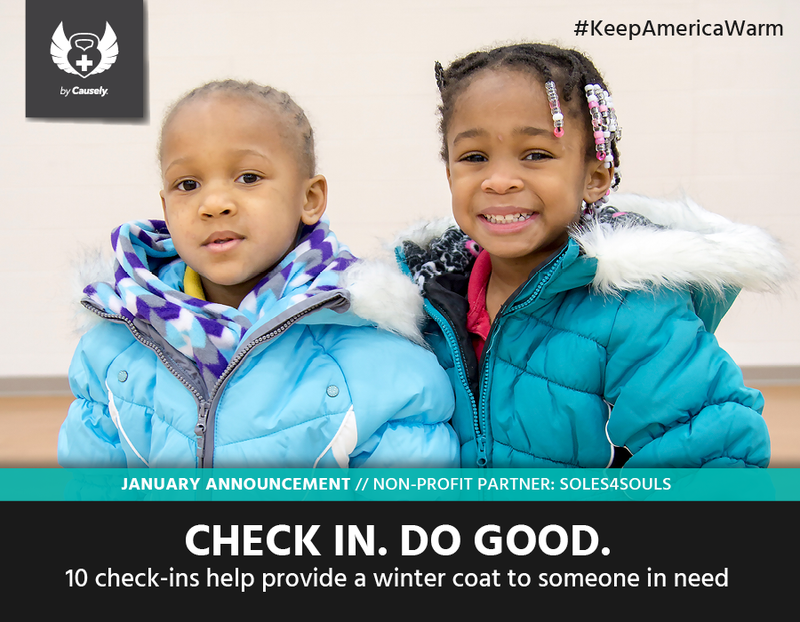 But this time, we are supporting Sole4Soul’s winter coat program to help provide winter coats to people in need throughout the United States. Every 10 check-ins at Edge Body Boot Camp Omaha on Facebook or Instagram will help provide a coat to someone in need. Soles4Souls collects and ships gently used winter coats to those that need it the most. There are 50 million Americans living in poverty today and many of them will need a warm coat this winter. Over 85% of all clothing in the United States ends up in landfills instead of being recycled. By sharing gently used clothing with people in need, Soles4Souls not only serves others, but also helps protect the environment. Take a second to check out Soles4Souls’s Facebook page and website to see how they are making a major impact in the lives of thousands of people. The hashtag this month is #KeepAmericaWarm. Be sure to use it when you check-in! It’s a great way to remind your friends why you’re checking in.